In the early years of a startup, it can be incredibly difficult to prioritize. Once you’ve secured investors, raised capital, and validated your ideas, it is crucial to invest in a good user experience before you bring any digital products to market. It is said that a successful product is 10% great idea and 90% execution—which means that even great ideas can fail if the execution falls short. You need to consider how your end users will engage with your product—they won’t use your solution if it’s not solving their problems. We can help with that. We thoroughly research your product’s audience to ensure you’re creating and delivering a desirable, enjoyable product. We create low-fidelity prototypes without code to test interactive ideas early and often, before you sink ample time and money into development. We can help you stay one step ahead by ensuring your product is growing and evolving with users’ ever-changing needs. How your users experience your product is a direct reflection of your brand. We can help take your brand to the next level with a stellar user experience strategy. We’ll help you assess options and prioritize opportunities for maximum impact and growth. With rapid prototyping, we help your product evolve and adapt fast and with confidence. We can help ensure that your ideas have depth and endurance to withstand the test of time. Most projects tend to fall into one of the three needs below. 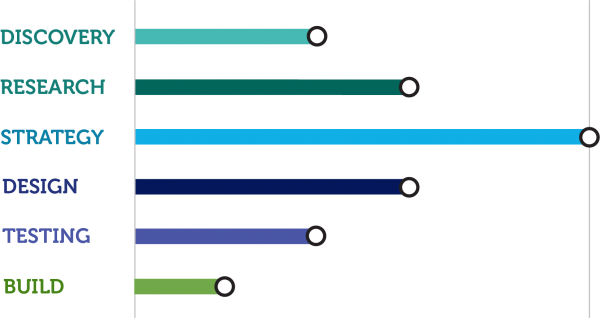 The level of effort involved in the project phases is determined by the type of need. This approach focuses on brainstorming, design thinking and strategy to validate ideas and create a minimum viable product before investing too much time, resources and funding. Scale what already exists and works. This approach focuses on systems design thinking and capitalizing on existing solutions to scale and expand functionality, maximizing impact and boosting engagement. This approach focuses on identifying problems through rapid prototyping, usability testing and user feedback to uncover flaws in existing user flows and processes. 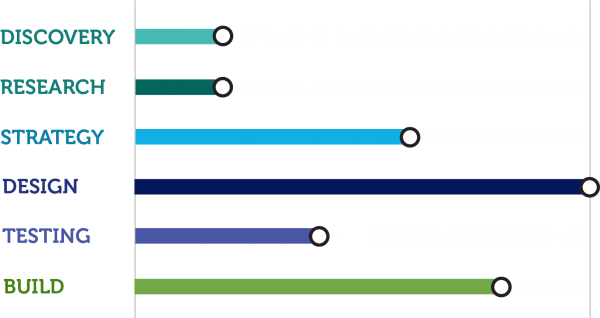 Diagrams (above) illustrates three types of project needs. 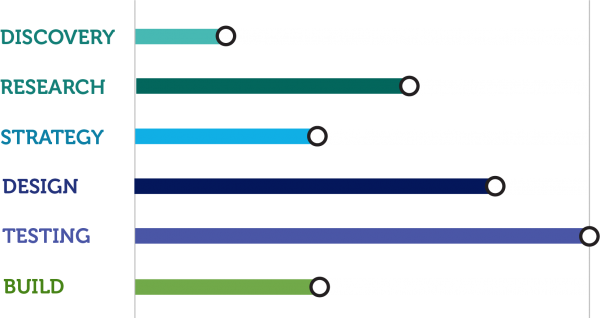 View accessible version. Get in touch via email at info@coexdesign.ca or fill out the form below to get started.